Social media is vital for healthcare brands and businesses and they must stay on top of the trends to develop healthy social media strategies. Luckily, a number of new reports have carefully analyzed social media data and discovered important insights that can help in healthcare marketing. To see what’s prescribed for social media success, HealthworkCollective.com shared these helpful health-focused findings. Almost 1.4 billion people worldwide use the network every month. 890 million people visit the social media site each day. 71% of U.S. Internet users are on Facebook. 70% of Facebook users engage with the social network on a daily basis. 45% of users engage with the social network multiple times per day. This remarkable reach makes Facebook essential in a healthcare social media strategy. And with more than half of all online adults ages 65 and older using Facebook, the network is no longer kid’s stuff and is now a targeted tool for connecting with older consumers. If you’ve been holding off on getting your practice on Facebook, don’t delay any longer because you’re missing out on a can’t-miss way to expand and enhance your practice. With more than 284 million active global users, Twitter has grown by leaps and bounds and this growth is only bound to continue as the site continues to evolve. Its defining demographic is under-50, college-educated, and living in urban areas, so it lets a practice position itself to serve the current healthcare needs of users, as well as their growing needs as they age. Perhaps Twitter’s greatest claim to fame is the site’s real-time delivery that encourages digital dialogue. Patients, physicians, nurses, and health-conscious consumers can all come together on Twitter to chat about care, discuss diseases, talk about treatment, discover doctors, and share personal experiences with the immediate response that healthcare demands. 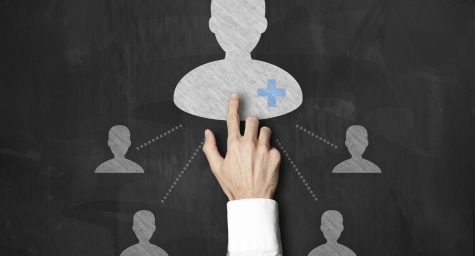 Twitter enables a practice to reach more prospects and patients by reaching out to help them. Since LinkedIn is a professional social media network, it’s a way to reach college-educated professionals who are seeking respected sources of healthcare. Since the site is used by a wide range of business people, it allows a practice to position itself to many different ages at different stages of life. And the mere presence of a practice on the site imbues it with greater credibility. To leverage your LinkedIn listing, optimize your profile with all of the relevant healthcare keywords to ensure that it appears in a variety of search results. If you thought that mobile was a second-class channel, think again because it’s become the first priority for businesses seeking growth. According to research from We Are Social, there was a 76% rise in mobile app usage last year and that nearly half of Facebook’s 1.89 billion mobile users access the network exclusively on their mobile devices. And, that more and more mobile users are using apps to access social media. In fact, Instagram and Pinterest are two of the five most popular apps. With today’s on-the-go lifestyles and constant demand for digital access, mobile is now a must for connecting consumers with businesses. For all of these reasons and more, your practice needs an online presence that can be seen by mobile users. This entails optimizing your website to be viewed on all digital devices. Google has started penalizing websites that aren’t mobile friendly and may soon give “mobile friendly” tags that will improve a website’s search rankings. To make sure that your practice is getting the highest possible reach and rankings, it’s vital to optimize your practice’s website for maximum mobile response. Now that the Web has becomes the way to seek healthcare information, social media is a valuable tool for sharing important information and connecting patients with providers. Make the most of these channels to make the most of your practice. Learn the latest trends in healthcare marketing. Contact MDG Advertising. MDG Advertising, a full-service advertising agency with offices in Boca Raton and New York City, is one of Florida’s top healthcare marketing companies and branding firms, whose healthcare clients include Dental Care Alliance, MDVIP, Max Planck Florida Institute, HCA East Florida, Primary Pharmaceuticals, and MD Now. MDG’s core capabilities include branding, logo design, print advertising, digital marketing, mobile marketing, email marketing, media planning and buying, radio and TV advertising, outdoor advertising, newspaper, video marketing, infographic development, Web design and development, content marketing, social media marketing, and SEO. To learn more about the latest trends in healthcare marketing, contact MDG Advertising.